With heavy hearts after the loss of former head coach Chad Johnson, the Lincoln Stars will be back at the IceBox for back-to-back home games this weekend. On Friday, the Stars will host the Youngstown Phantoms. 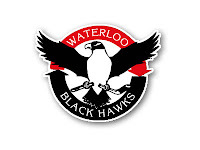 On Saturday evening, the Stars will take on the Waterloo Blackhawks. Puck drops at 7:05pm CST for each contest. If you are unable to make it to any of the games at the IceBox this weekend, you can follow the boxscores online via Pointstreak, listen to Stars radio announcer Mike Melbye on 93.7 FM "The Ticket," or watch the games live on FASTHockey for a fee. This will be a very short weekend preview. My apologies for that. Just too busy the last couple of days to get as much as I wanted into this article. The Lincoln Stars enter this weekend with a record of 3-9-4 (10 points) and are tied with the Fargo Force and the Tri-City Storm for sixth place the USHL western conference. Last Saturday, the Stars snapped a seven-game losing streak with a 2-1 win over the Des Moines Bucs. Click here to view the current USHL standings. The Phantoms start the weekend with a record of 6-11-1 (13 points) and are in seventh place in the USHL eastern conference. The last time these two teams met, the Phantoms shutout the Stars by a score of 1-0 in Youngstown. Since that game, the Phantoms are 2-6-0 in eight games played. Youngstown is 1-7-0 in 8 road games this season. The Blackhawks sport a very impressive record of 11-4-0 (22 points), and occupy third place in the USHL western conference. In their last meeting this season, the Blackhawks stomped all over the Stars at the IceBox by a score of 5-1. 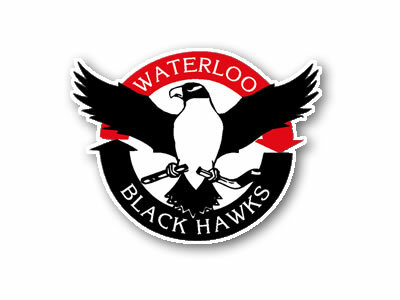 Waterloo is 4-1-0 in their last five games played, and are 5-3-0 on the road. I'm sure it will be an emotional scene this Friday and Saturday night at the IceBox. As fans, lets do all that we can to support the players, coaches, and the organization as a whole this weekend. They are going through a very tough time with the passing of their friend, and I'm sure they would appreciate the encouragement. Also, let us remember Chad this weekend, and the legacy he left behind. He spent many nights inside the IceBox coaching the Stars, and I'd like to think he'll be there again this weekend in spirit. So be cheer loud and proud so Chad can hear us. Stars Nation is one big family, and we'll get through this together.